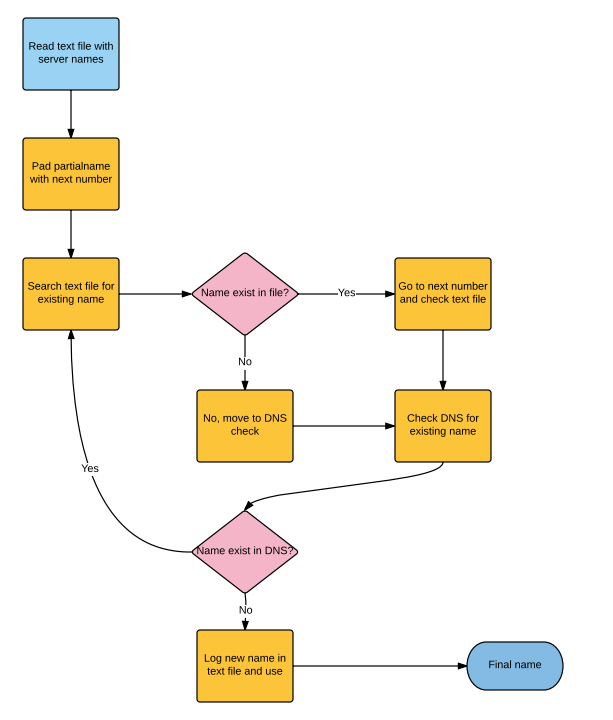 Now that we have our partial name being created from Server Name Generator – Part 1, we can have a workflow that appends with a number and check to see if that name already exists within the environment. The server names will be checked via DNS and via a text file named names.txt saved on the vRealize Orchestrator appliance. 2. Locate and view the “js-io-rights.conf” file by running “: less /etc/vco/app-server/js-io-rights.conf. The purpose of this file is explained here on VMware’s documentation site. You will see “+rwx /var/run/vco/” as shown above. This means vRO can read, write and execute from this location. This is where will place our text file to write host names to. 3. 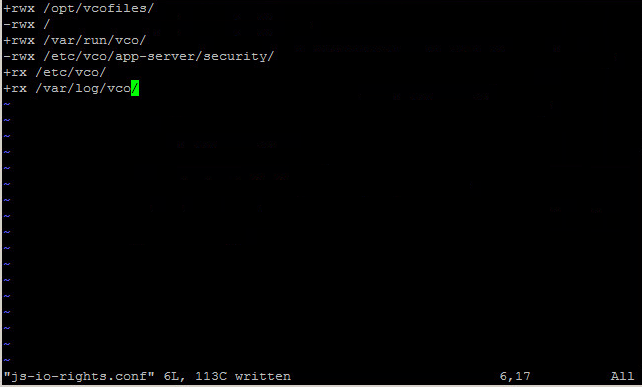 CD to var/run/vco and do a “touch names.txt” to create the file in that directory. 4. As you can see we need to change the rights so run: chmod 666 names.txt to give read/write access to vRO. In the next post, we will put the two workflows together to pass the partial name to the server name generator for a completely automated name.